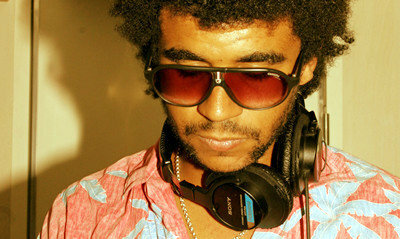 Jamie Jones has achieved in the space of a few short years what many producers try for a lifetime. Turning his hand to a variety of styles while still maintaining a strong signature sound, Jones has created an admired musical identity and a loyal global following. One of techno’s rising stars, Jamie Jones is part of a new guard of house and techno djs who resonate as artists, party people, djs, and live acts. Raised in Wales (which most people don’t hold against him), Jamie’s university days in London helped launch his infatuation with club culture that would bring him to Ibiza during the summers. Ultimately relationships forged and those island summers helped him become an integral cog in thriving music scenes in Ibiza and later East London, where Jones’s bustling djscandance warehouse parties and regular gigs at Fabric helped him make his mark in London during his winters. During the summer, gigs and residencies like the Space Terrace, Manumission’s Music Box Room, and later DC10 (a club he frequented as a one of the first regulars in his early days on the island) helped him gain a foothold in the Ibiza Scene while defining a sound that was uniquely, electronic, soulful, and bouncy, with a consistent groove. During one of these summers in Ibiza, he played his creation Amazon, to Freak n’ Chic boss Dan Ghenacia who signed it on the spot. Amazon, when released, was well received and immediately drew Jones favorable comparisons to luminaries like Mathew Jonson and Carl Craig and went on to become the labels biggest selling record. Jamie followed that standout release with recordings on leading labels like Crosstown Rebels, Get Physical, Cocoon, Poker Flat and far too many more to mention. Consistent to his production quality are low wobbly basslines, dissonant and hypnotic keyboard lines, crisp snares, and the aforementioned steady groove. All times are GMT -4. The time now is 01:46:05 PM.